Photo: lloydsla.de. Creative Commons BY (cropped). A commons colleague, John Restakis, wrote about this possibility a week or so before the 25 January elections. Now, speaking to the Greek Parliament last week, the new Deputy Prime Minister Gianni Dragasakis explicitly stated that Greece will develop new sorts of bottom-up, commons-based, peer production models for meeting people’s needs. adopting open standards and patterns for public administration and education. “These plans/initiatives could be seen both as seeds of a new model for economic development and as solutions to exiting politico-economic, or “structural” problems: revealing and controlling corruption, improving lax tax enforcement etc. It is true that from program to implementation, several steps are required, however the first step seems to have been made: Syriza appears to not only be aware of the advantages of free/open source technologies but also to realize the potential and the new political economy of this emerging proto-mode of production. Kostakis notes that Andreas Karitzis, member of Syriza’s think tank on digital policies and an unsuccessful candidate MP, wrote an article in the Greek version of the Huffington Post before the elections. Karitzis mentioned his party’s commitment to free/open source technologies, transparency and participatory democracy. Syriza also apparently intends to develop the new CopyFair licenses for open hardware and support the creation of networks of distributed micro-factories (fablabs/makerspaces). “I would like to, conclude with the permission of the President, with a general thought. Often in everyday life we all live events happening whose importance is only clear in hindsight. We live, then, not only in an historic era characterized by the crisis and the collapse of obsolete models, but we live a crisis that will eventually spawn new models and new social organization models, as was done in the past. In this sense, then, this is an opportunity to take up the deficits of the past, to close this modernization deficit, but by addressing the contemporary social problem of unemployment, social security and social exclusion. This could establish a new paradigm in Greece and other countries of southern Europe, combining advanced forms of democracy, social self-motivation, social justice on a strong foundation of common goods, a society-centric model, which would give dignity and confidence in society, hope to the people, optimism in the new generation. Thus Greece, from being the guinea pig of austerity and destruction, could be a ground of pioneering ideas and policies and the benefit would not be just for us. The world would become a security goal in a region of insecurity, and “aged” Europe could rediscover through the symbiosis of different development models inside. Kosmas helpfully provides a link to Dragasakis’s speech in Greek here. There are a number of knowledgeable and committed commoners internationally who have been in touch with Syriza officials, including a number of Greek commoners and P2P activists. Two of the most notable are Vasilis Kostakis and George Papanikolaou, who are the administrators of the P2P Foundation’s Greek branch. The Greek government may wish to turn to the many concrete commons/P2P policy approaches on display at the Commons Transition Plan. As official interest in the commons and peer production grows, many Greeks (and international supporters) are surely looking forward to the third annual CommonFest, which will be held in Athens from 15-17 May 2015. 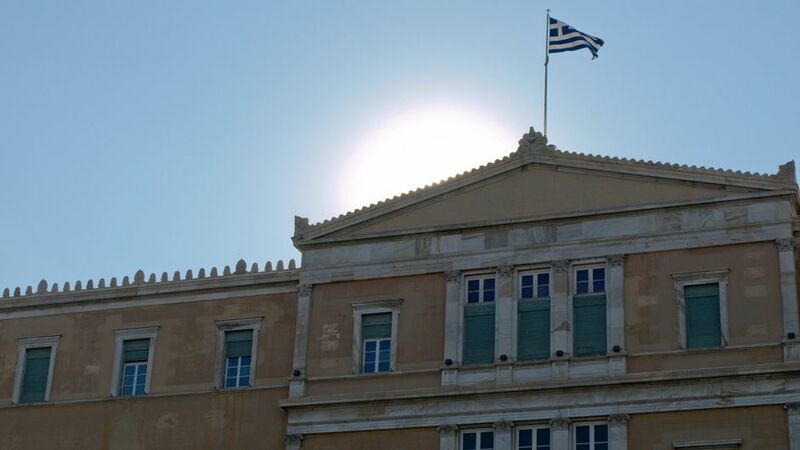 New Greek Government Endorses Commons-based, Peer Production Solutions by David Boiller is licensed under a Creative Commons Attribution 3.0 United States License. David Bollier is an author, activist, blogger and consultant who spends a lot of time exploring the commons as a new paradigm of economics, politics and culture. He is co-founder of the Commons Strategies Group, co-founder of Public Knowledge, and was founding editor of Onthecommons.org. He now blogs at Bollier.org. A Senior Fellow at the Norman Lear Center, Bollier is the author of twelve books, including Brand Name Bullies and Silent Theft, Viral Spiral: How the Commoners Built a Digital Republic of Their Own and more recently, Think Like a Commoner: A Short Introduction to the Commons. instead of the extraneous url that is at the front. Perhaps yes, it does seem radical to many, but “the master’s tools will never dismantle the master’s house”. And if (when?) other peoples (particularly those who have not *yet* felt the brunt of inequality to the same degree as the Greeks) consider such movements with an open heart and a mind freed of the chains of indoctrination, they will surely embrace it. Individually, many of Syriza’s suggestions are hardly radical, it’s just the whole package adds up to more than the sum of its parts. Most governments worldwide are trying to adopt the principles of open governance, which is point number 1 on their agenda. But small scale entrepeneurs and cooperatives is not being adopted on the scale of a government anywhere. That’s their radical innovation, and I’m hoping for updates on their progress.